It's a bittersweet moment when I realised my last born is going to spend his last pre-primary school year before embarking on the next phase next year. Therefore, I decided to give him a memorable birthday party this year by preparing something special for him and his classmates. 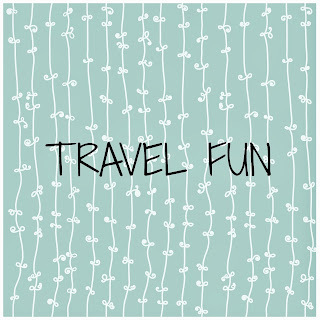 When you have a boy who is in love with all sorts of cartoon characters, it's quite a challenge for me to finalise on a theme especially when dealing with a fickle minded little boy, lol! 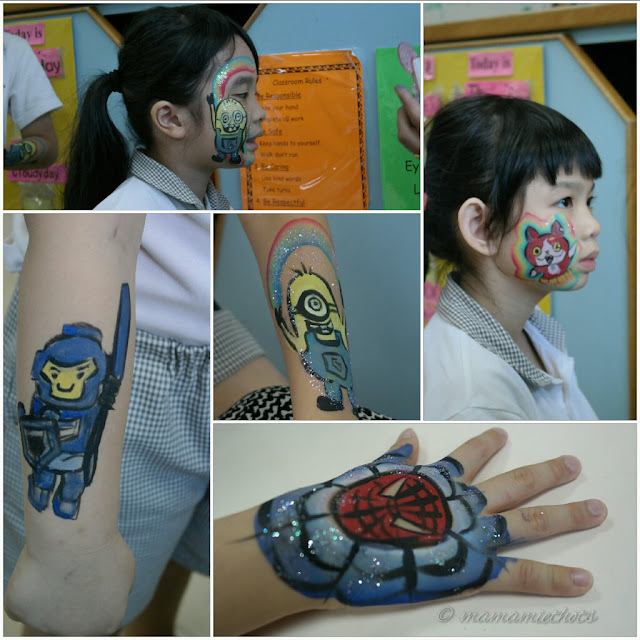 After some discussion with him, we decided to go ahead with the superheroes theme *phew*. About 2 weeks before the party, I went online to source for superheroes related products for goodies bags preparation. 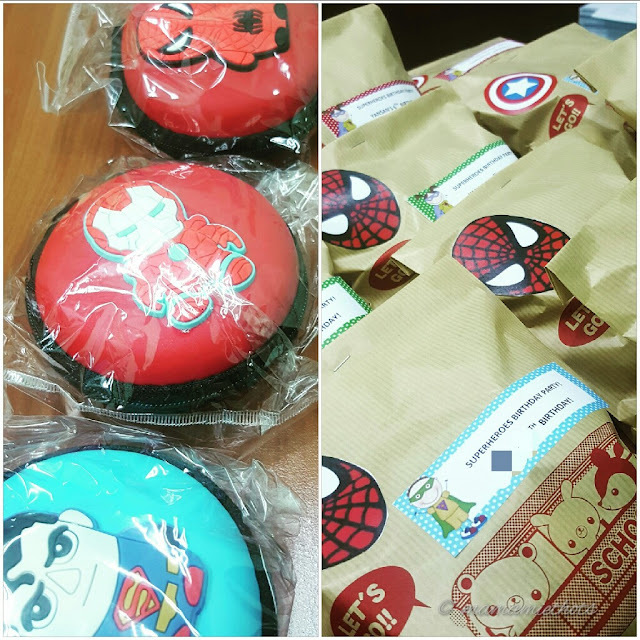 You can see I'm not a very creative person coz I printed out some marvel cartoons pictures and pasted those cutouts to beautify those paper bags. As per the birthday boy's wish, he chose the superheroes themed cake. How time flies, he is enjoying every moment of his time with his friends and teachers. 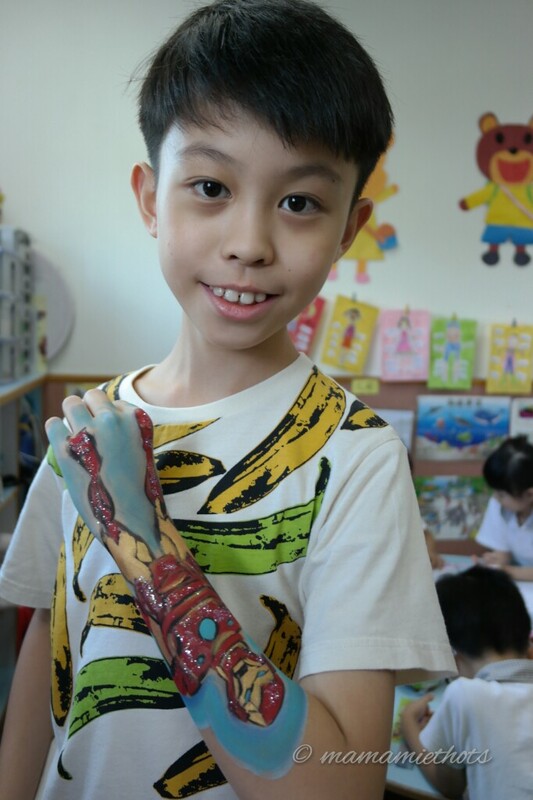 I feel happy that he is allocated to a class he enjoys going to this year, with fun friends to play with and caring teachers to teach him. 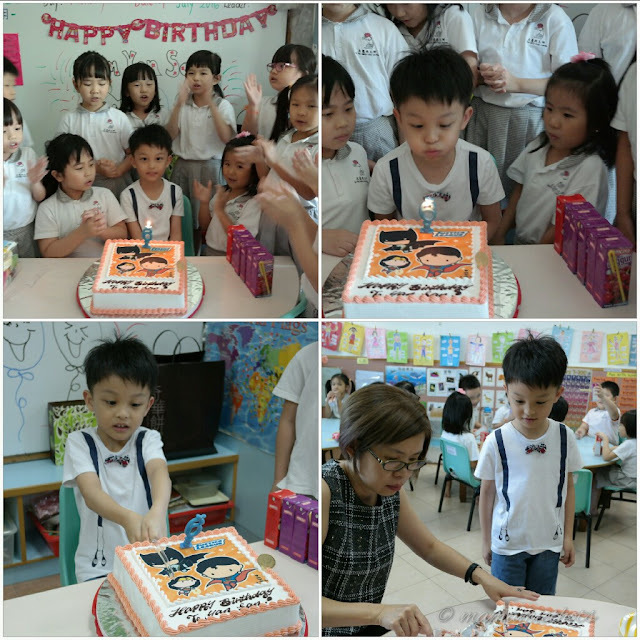 To add more fun to the birthday party event, the birthday boy was very lucky to be able to choose one service sponsored by Top Kids Party. Ms Harishma (the founder) is a very patient lady and gladly accepted our last minute changes (from Plan A to Plan B). It was our very first time to engage a vendor to a party and we did not know what to expect (I know I'm quite "suaku"! but there's always a first time for everything right? haha). 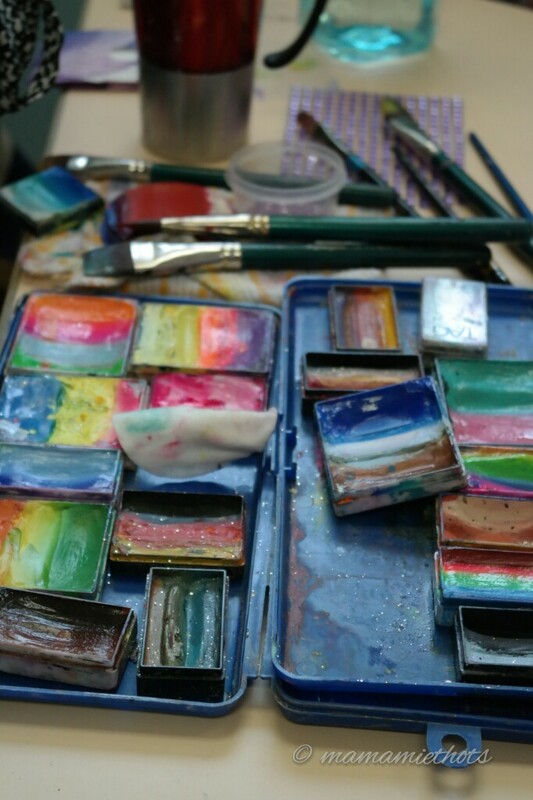 When Ms Harishma opened all her colourful palettes of paint, everyone was looking in awe. Curiosity started to build up and everyone started to crowd around her. 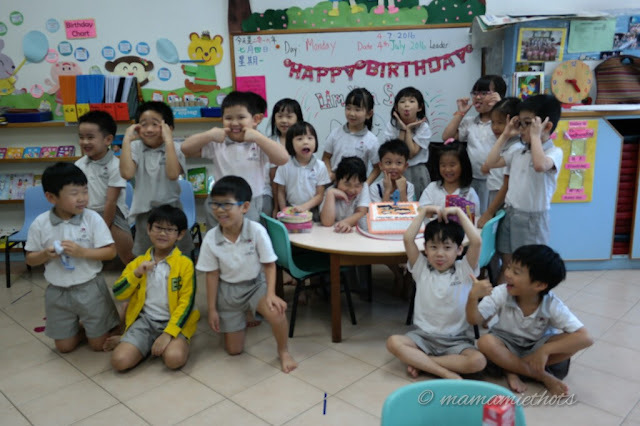 It was also the first time, the kids had the chance to experience something different in the school. 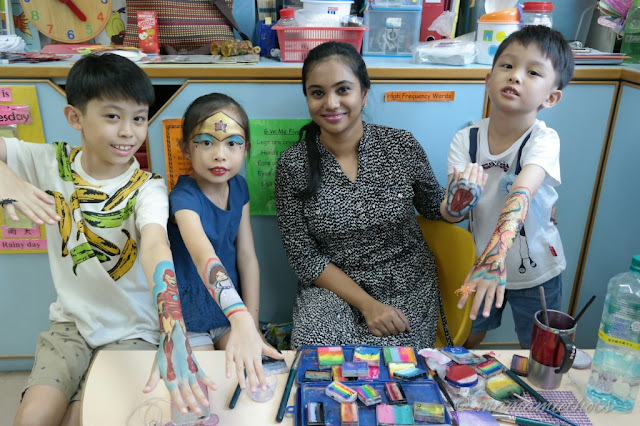 Excitements were written on their faces when they were told to think of their favourite superheroes / cartoon characters to be drawn on their faces or arms. 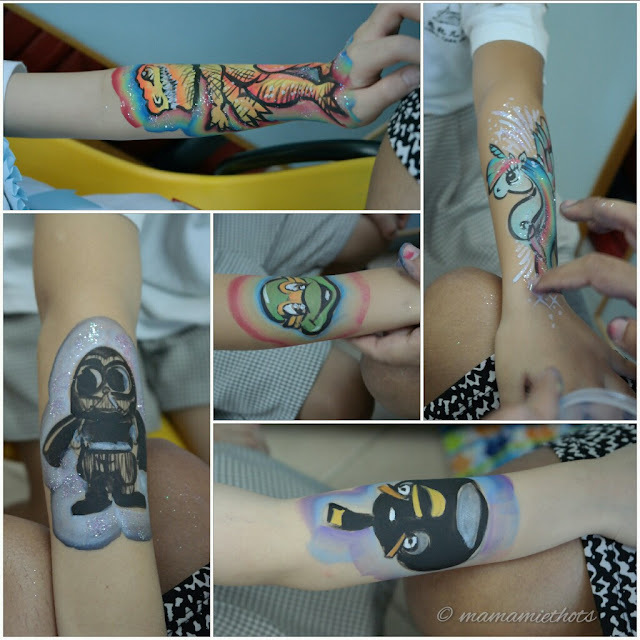 All of them waited patiently for their turn and I enjoyed looking at them while they were being painted by the talented lady. No prize for guessing what YQ has requested. 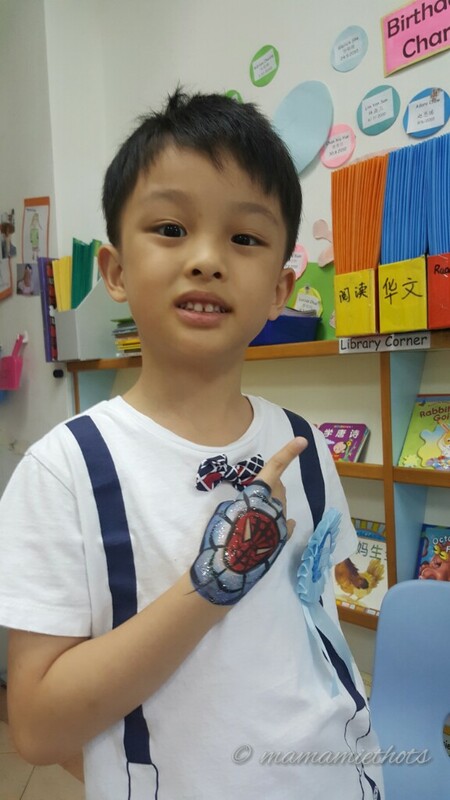 Spiderman for the birthday boy. Iron man for the big brother. Here were some of the cute paintings they requested, I reckoned the hot favourites were minions and Princess Elsa. The kids had a blast and all of them could not wait to show their parents their paintings on their faces/arms. 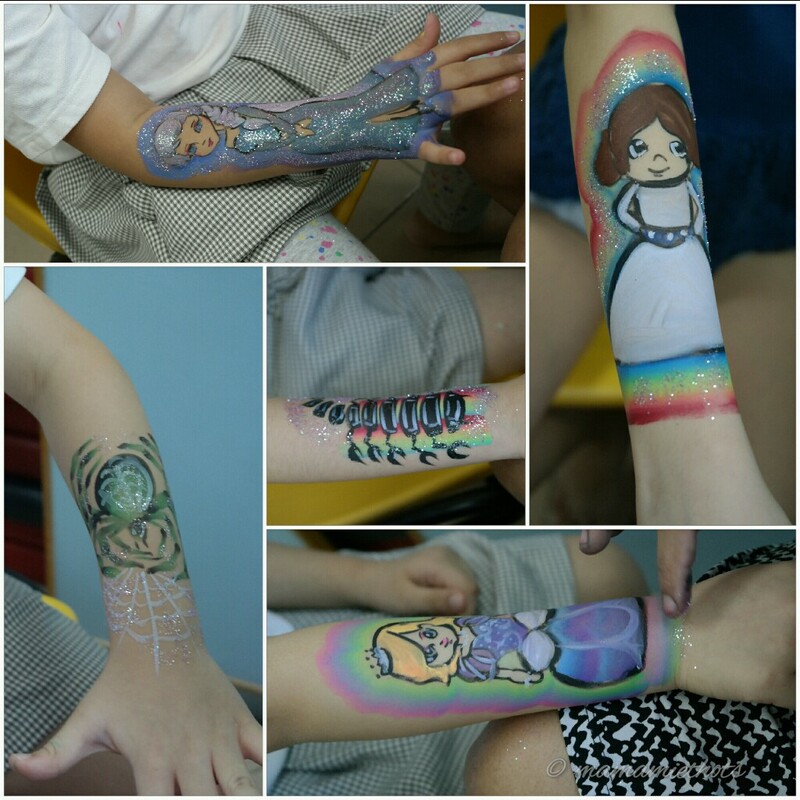 By the way, all the paints are non-toxic, skin safe, child friendly approved by FDA. They only use high quality brands such as Tag, Diamond FX and Snazroo. The paints are easy to remove with water or wet wipes. 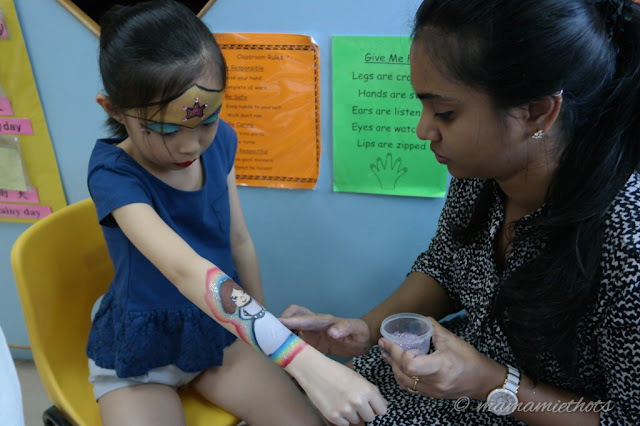 The founder of Top Kids Party, Ms Harishma, graduated with distinction in design. She studied in renowned art schools like Nanyang Academy of Fine Arts and Raffles College of Design and Commerce. 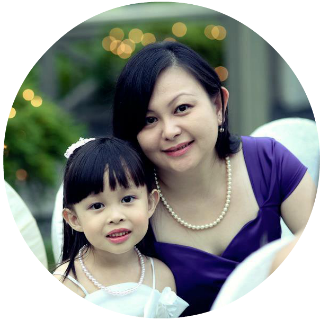 She started a creative event management company that specialises in providing entertainment for kid's birthdays, private and corporate parties. She also conducts art lessons for children and adults too. Disclaimer: Top Kids Party sponsored the face painting service for our dear little boy's 6th birthday party. No monetary was compensated. All opinions are our own.